When it comes to making over our space for a new year, which we find ourselves doing every spring, no part of the house is safe from our crafty whims! This year, that logic applies to the living room floor. The old scuffed floor that the house came with when we moved in simply won’t do anymore! That’s why we’ve been keeping our eyes peeled for awesome resources and concepts that will help us transform the very base of our space in order to improve the overall look. 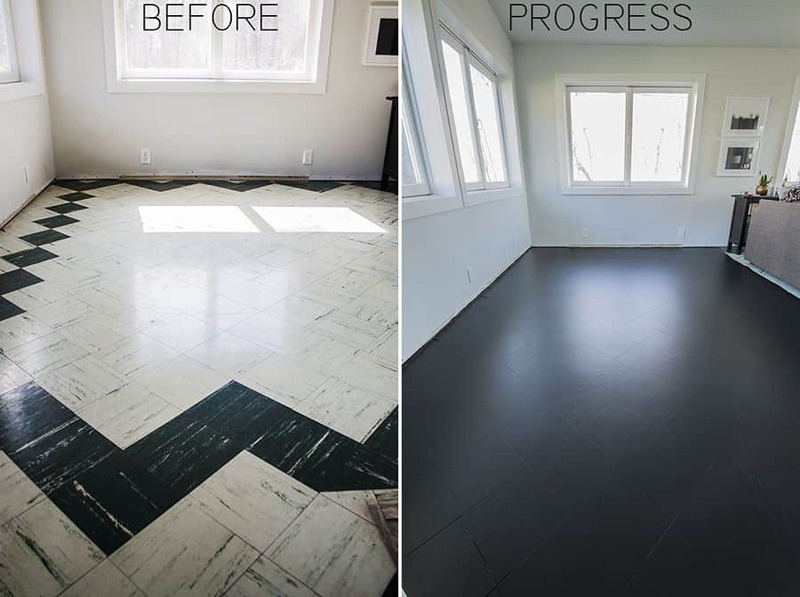 Perhaps you’re very into the idea of redoing your living room floor and you’re feeling pretty darn determined to do it yourself, but you won’t pretend that you could certainly use a little bit of advice and help along the way? In that case, we’d absolutely suggest taking a look at how Home Stratosphere discusses and dissects some of the things everyone should think about and consider before they get started on tearing up the floor they already have, just to make sure they’re prepared! Have you actually been feeling the sort of industrial style of the trending idea of having a concrete floor (or perhaps you have on already), but you think you’d rather a look that’s a little more feminine and intricate than just the standard plain grey? 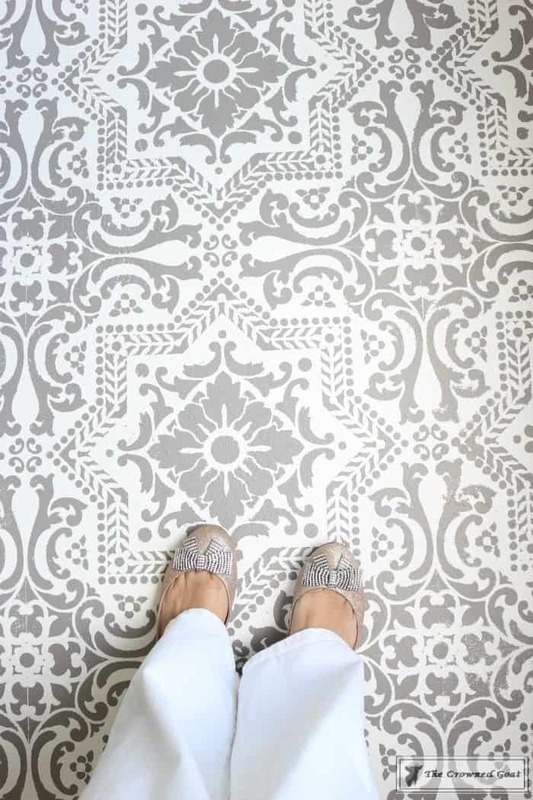 In that case, we think you might really appreciate the way Designer Trapped used stencils and their hand painting skills to create a wonderful pattern all across their concrete floor, letting the grey shine through but adding white to keep things light and pretty. Perhaps you’re okay with the quality of the wood floor you already have to work with, but you’ve been trying to establish a sort of seaside or farmhouse chic aesthetic in your living room and you can’t help but feel like the current colour and look of the wood just doesn’t fit? In that case, we think you might get a kick out of the way View From the Fridge added a little bit of stylish weathering and vintage influence to theirs by whitewashing its surface and sealing it so it lasts. Are you actually the kind of person who really wants to put in wooden floors but you’re looking for a simple, DIY, and affordable way to do it rather than having something like shining new oak floors professionally installed? 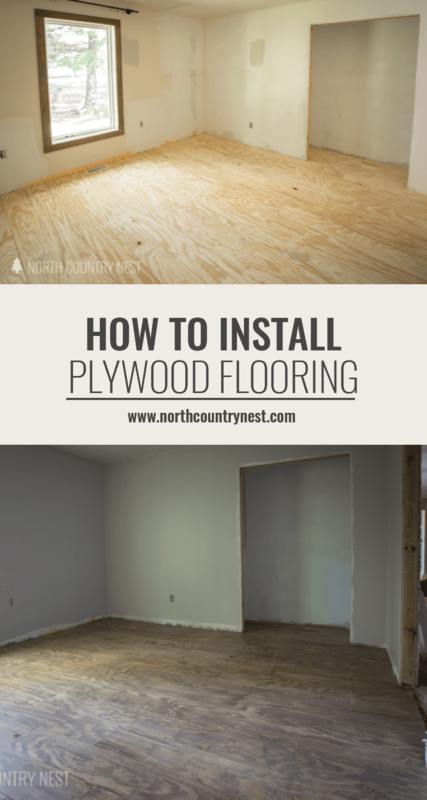 Then we’d suggest taking a look at something like this tutorial from Instructables that teaches you step by step how to install easy plywood flooring! Perhaps you’re not actually certain that you have the time, skills, or resources to be fully overhauling the floor in your living room in too drastic a way, but you still can’t help feeling that it needs some kind of addition or character of some kind? 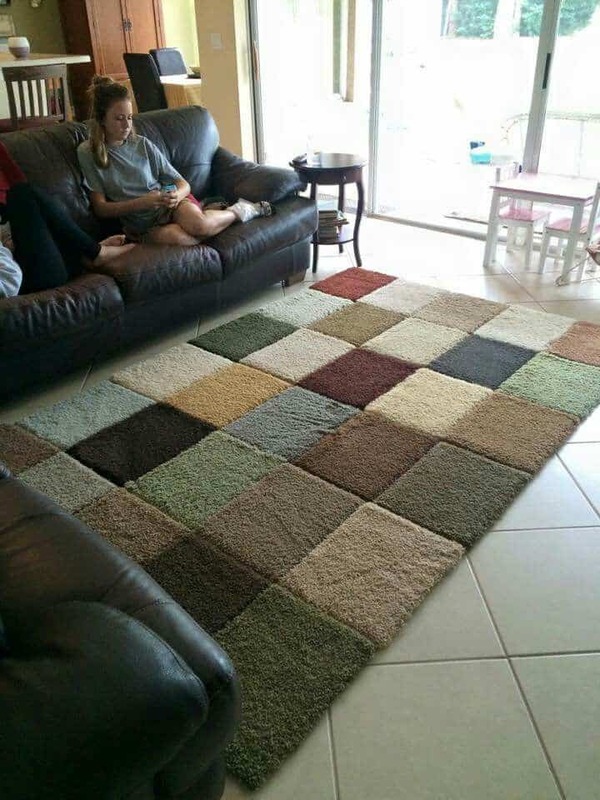 In that case, we think you might have a better time reading through something like this discussion on TLC Interiors about different tips and tricks for choosing floor mats and area rugs that are right for your space. We’re always surprised just how awesome and effective they can be (and there are plenty of awesome kinds out there that you can make yourself once you’ve decided what style and look you’re aiming for)! Did we really catch your attention when we started talking about resources and discussions that give you tips and tricks for choosing flooring before you’ve even gotten down to analyzing any DIY aspects, but it’s not wooden floors you’re looking for? 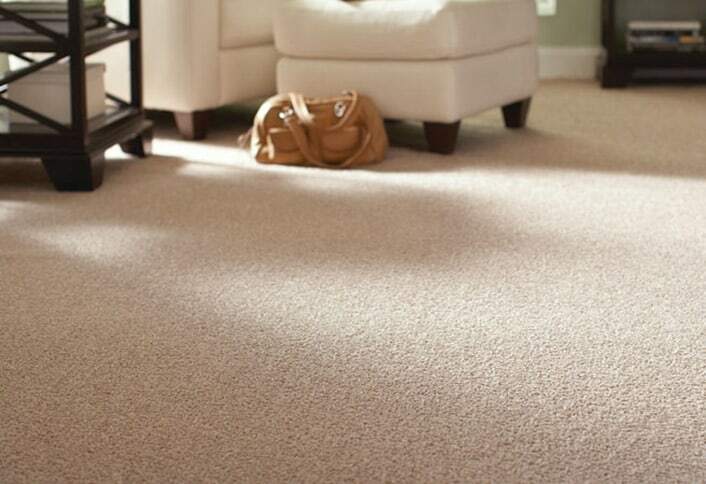 Then carpet fans rejoice, because we’ve found a helpful page for you as well! Modern Chic Mag has some information for helping you choose the right kind of full or wall to wall carpeting for your space. Has all this talk about mats, area rugs, and full coverage carpets got you thinking about how you’d love a large coverage solution for your floor but about how you can’t help wishing you could make something yourself that’s a little more unique? 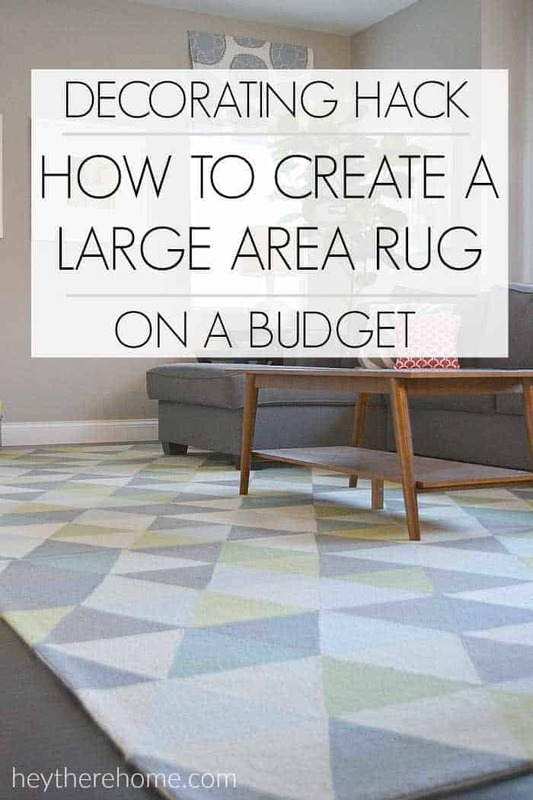 In that case, we think you simply must take a look at the way Hey There Home made their own large area rug by patching together two smaller ones in a pattern they liked! That gets you the size you need and the style you want but often for a better budget. If you’re going to put a mat down in your house, would you rather make it one that you fully customized yourself because you really are having trouble finding a colour, pattern, and aesthetic in stores that works for what you picture in your space? 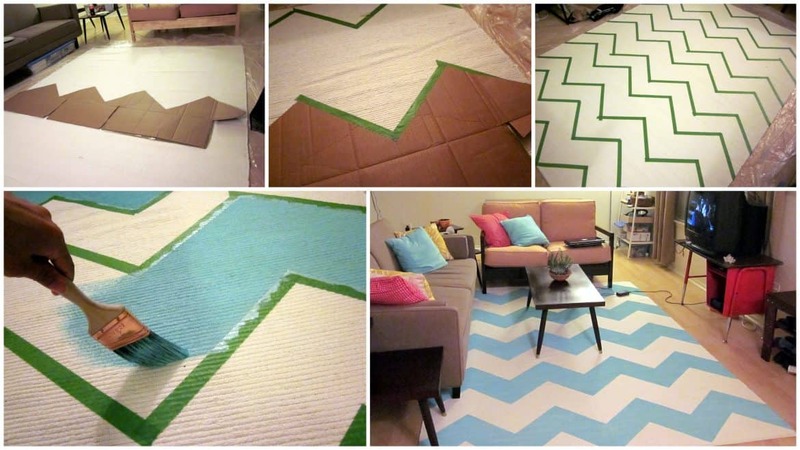 Then we’d definitely suggest taking a look at how Etika Projects added their own pattern in the colour they wanted using neat tape stencilling and hand painting techniques to get the perfect DIY chevron rug! Are you actually very intrigued indeed by the idea of stencilling your own rug to make it the kind of pattern you actually had in mind and add your own little personal spin, but you’d like something besides just the simple, straight lined patterns you’ll be able to make using painter’s tape? 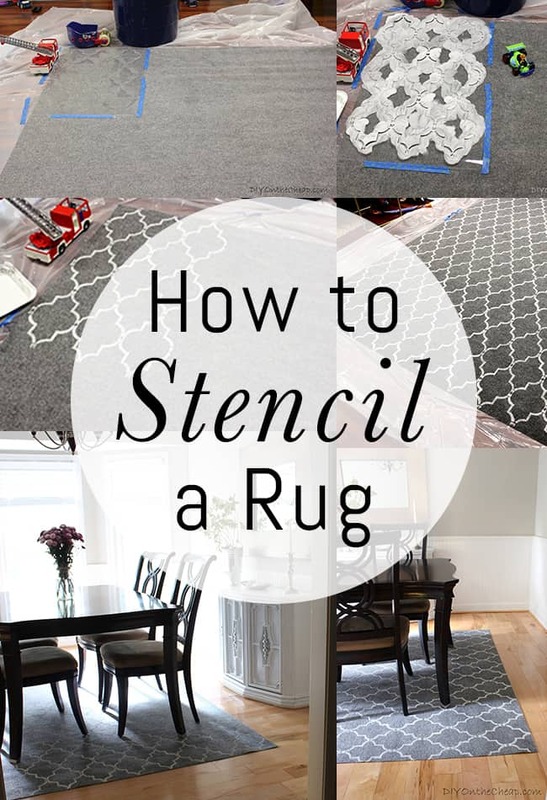 Then perhaps you’d prefer to follow a tutorial like this one from Erin Spain that shows you specific tricks for using proper stencils on a rug in order to get neat, clean lines. Did we actually really pique your interest when we started talking about the idea of patchworking carpets together like a quilt but you had something a little more intricate than just fixing two smaller floor rugs together, like you saw in the previous idea? 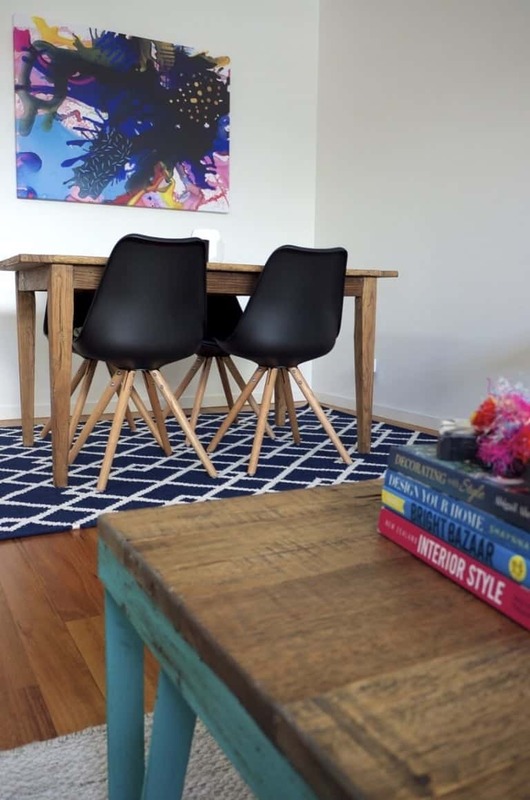 In that case, we’d definitely suggest taking a look at how Focus Floors made an entire DIY floor rug out of square pieces of carpet tile collected from samples, stores, and past projects in order to get a colourful tiled effect but in soft, cozy carpet. If you’re going to put in the time and effort it takes to make a floor rug or small carpet that’s precisely what you’ve been picturing for your living room space all along would you rather get a little more eye catching and luscious and make yourself something in stunning faux fur? 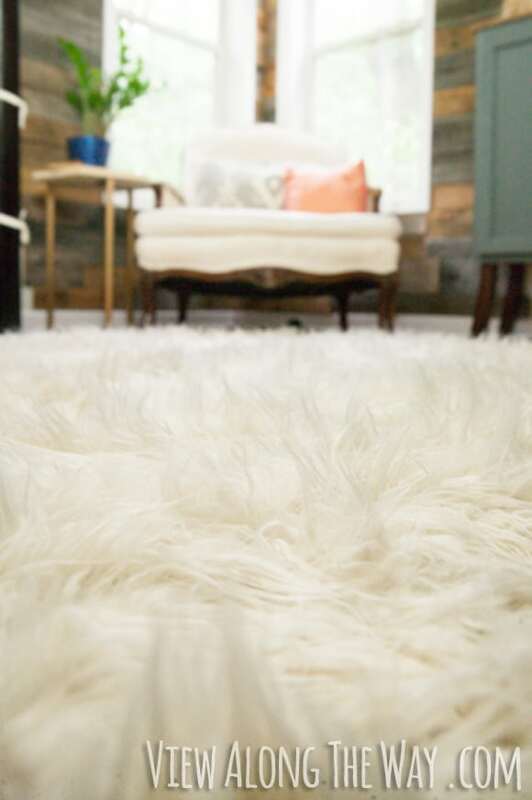 In that case, we think you just might be the perfect person to give this fantastic homemade faux fur rug outlined step by step on View Along the Way a try! Are you actually living in a much older house that has those old plastic tiles you don’t often see in newer spaces and, even though you don’t mind the feel of them, you’ve been looking for a simple, DIY way to make them look much more updated? IN that case, we have a feeling you’ll appreciate the way Research Paper House added a sleek and very clean looking contemporary aesthetic to their own old floor by painting it in a nice, dark colour that other shades will pop nice and brightly against. 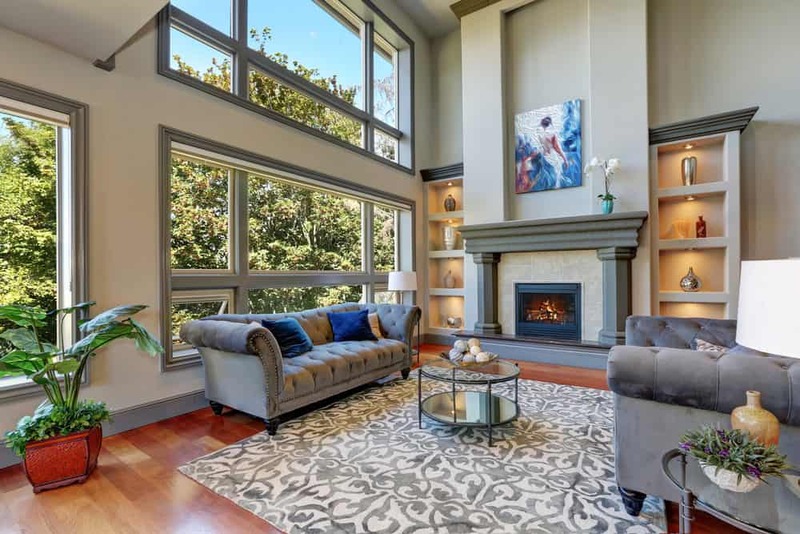 Perhaps when you started looking for guidance in redoing your living room floor, you were picturing a bigger challenge and a handy style project because you want to overhaul it completely since it’s a slightly outdated sunken living room typical of older houses? 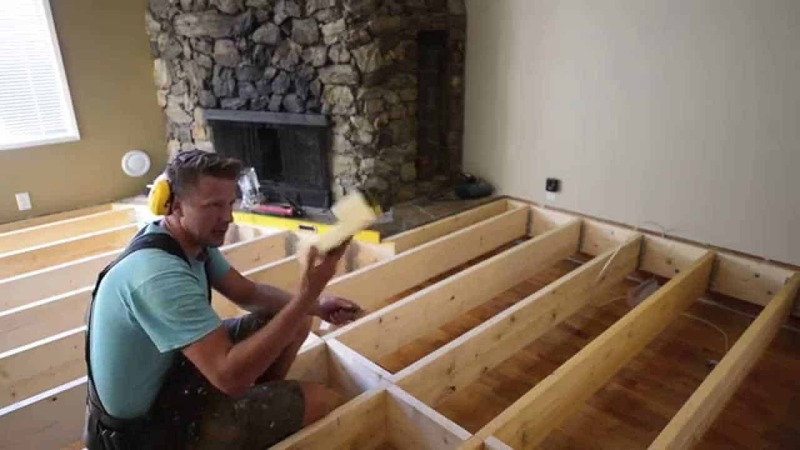 In that case, we think you’ll be rather pleased indeed to discover that The Samurai Carpenter has a full, detailed tutorial on how to use your DIY skills to fill a floor just like that and level your space out! 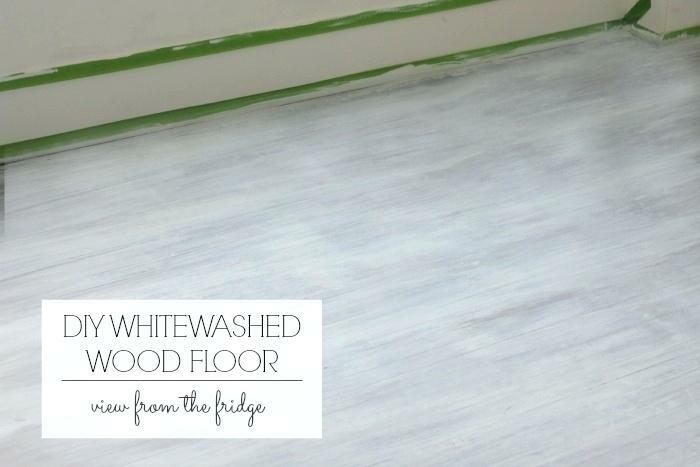 Just in case you’re still looking for simple, affordable, fully DIY ways to get your floors looking their best without breaking the bank but you just haven’t quite seen the look that’s right for you yet, here’s another tactic for your consideration! We love the way The Gathered Home provides a full and very clear outline on choosing, installing, and finishing up classic laminate flooring for a look that will suit just about any home decor aesthetic. Did we actually really catch your attention when we started talking about really handy projects that might involve some woodworking because you’re quite skilled in that department, but you’re also looking for something a little more unique and artistic as well? 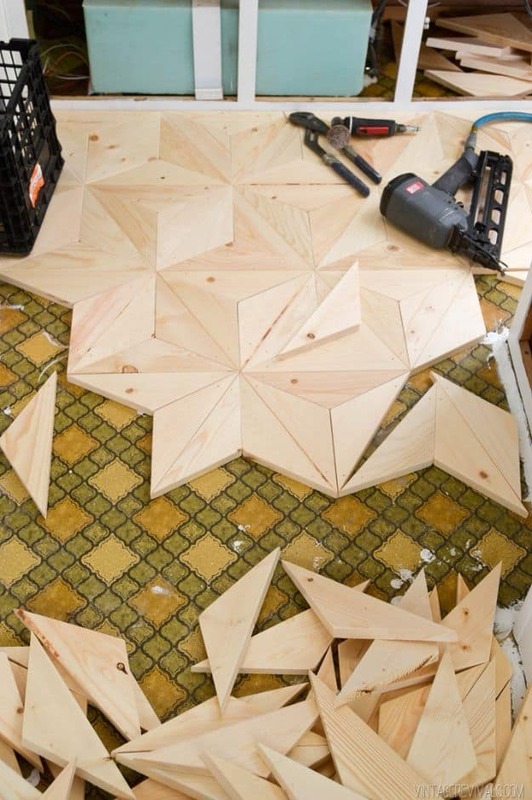 In that case, we’d definitely suggest taking a look at how Vintage Revivals remade their floor in a stunning way by cutting carefully measured wooden triangle pieces and fitting them together in beautiful geometric patterns from wall to wall. Do you know a fellow avid home crafter and DIY enthusiast who has been lamenting about the state of their living room floor for a while now and wants to give it a makeover but could use a hand? Share this post with them so they have all kinds of guidance and inspiration! 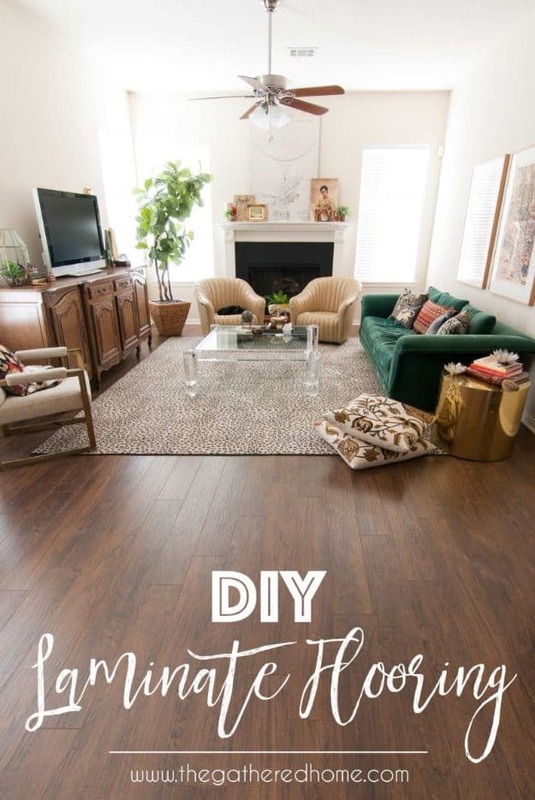 The post Types of Flooring – DIY Living Room Floor Projects appeared first on DIYs.com.